Diversified facials help the skin heal, rejuvenate and freshen in just one hour's time. The results are visible mere seconds after the treatment is finished and the difference is astonishing as you pick up the mirror and wait for that moment of truth! 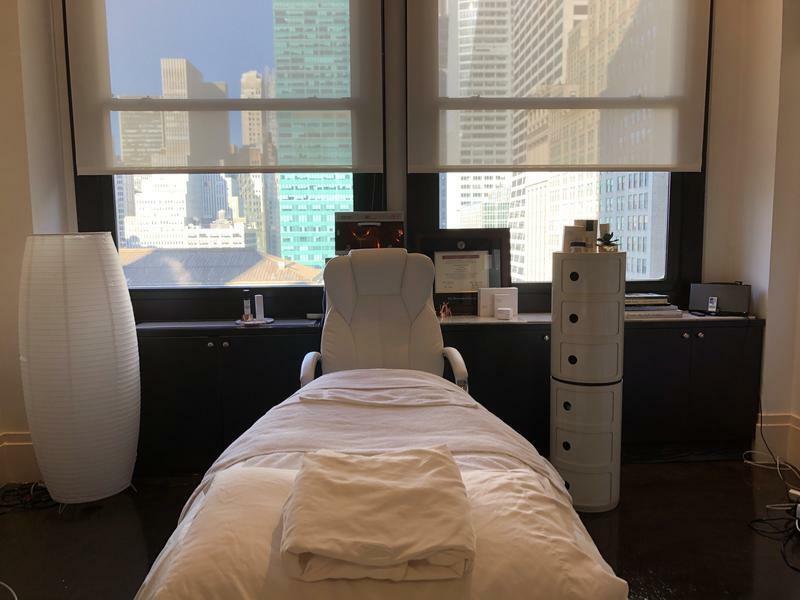 I had the pleasure of being treated by Elena, who did the Triple Crown Facial, one of their signature treatments and widely recognized as the best facial in New York City, on my skin. The core purpose of this facial is rejuvenation and hydration, as well as facial contouring, which nicely emphasizes your inherent bone structure, and the results are visible instantly. Every esthetician, in addition to being an artist, is a certified professional. They ensure the treatments are extremely comfortable, insightful and fun. Elena kept me posted on how the procedure was going to feel as she moved forward with each step of the treatment. Throughout the duration of the procedures, every customer learns more about their own skin and how to complement it perfectly. Every single movement is surgically precise and narrated, so that there is no room for discomfort or uncertainty. I felt safe and pampered throughout the entire process! During the course of the Triple Crown Facial, I also learned that skin is responsive in its very nature, with its own way of telling us what it likes or dislikes. It is important to remember that skin can also be cleaned from the 'inside' by the items we ingest on a daily basis. Staying hydrated and drinking plenty of water is necessary for proper skin maintenance. Althought everyone's skin are different and with proper treatment they can heal. With a little professional care anyone can have that perfect glow and a healthy look. The New York City Joanna Vargas Skin Care Salon makes these goals easily achievable and has created their own way of making your dreams about perfect skin come true! It is very rare to find a spot in NYC where people can hear their own thoughts and at the same time be in the midst of such excitement and activity. This is the perfect place to ask all the questions we might feel uncertain about and seek much needed advice on the best ways to care for your skin. All of the estheticians are more than happy to recommend treatments and products that can accelerate revitalizing of the pores and moisturize the skin. Joanna Vargas skin care products can be bought at the salon, as well as on the Joanna Vargas website. Your esthetician will know the best combination for your skin once they've completed your service. If all the instructions are carefully followed, your skin will start showing its appreciation within a couple of days. Not only are the treatments exceptional, but the interior of the Joanna Vargas day spa in NYC is absolutely delightful as well. Lying on comfortable sheets while receiving the best skin care and overlooking 5th Avenue is pretty hard to beat! The entire Joanna Vargas experience is characterized by classic simplicity and high-end decorative accents, accompanied by relaxing music. This creates a mood of deep serenity, even though it is in the heart of one of busiest cities in the world. 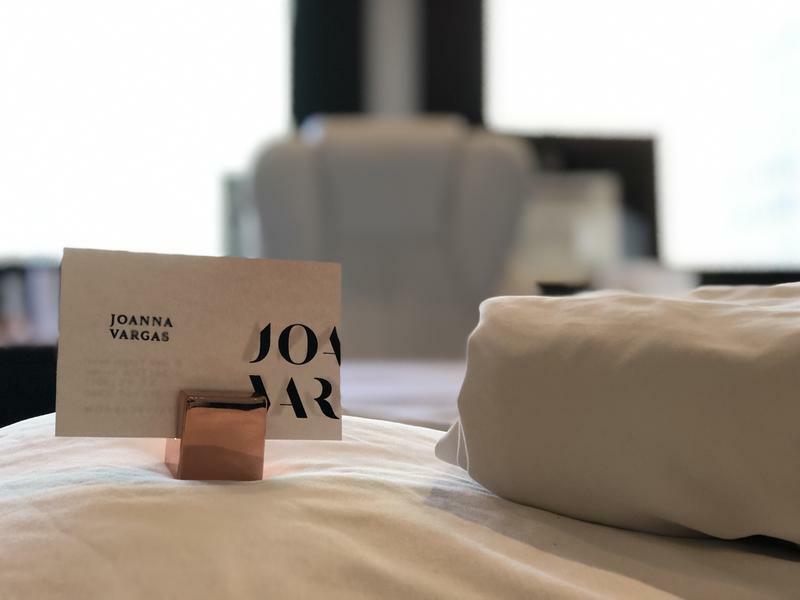 Joanna Vargas, an esthetician and University of Chicago graduate with a double major in photography and woman's studies, is an expert in the esthetic field and has become recognized as a skin care guru and one of the top celebrity facialists in New York City. Joanna Vargas has always been focused on one thing: Beautiful skin. Combining her commitment to plant-based ingredients and her passion for science, Joanna's nature-meets-technology approach has made her one of the most sought-after estheticians and experts in the beauty industry today. Joanna's results-driven treatments and products are a favorite among celebrities, supermodels, socialites, editors, and women who simply want the best for their skin. Joanna Vargas has also created her own line of organic skin care products that are highly regarded and provide the best and most effective skin care possible. These are available at skin care salons in NYC and Los Angeles, as well as the company's website. A select list of upscale retailers also carry Joanna Vargas Skin Care products. Scroll Down or Click Here to See Our Video of Joanna Vargas' 5th Avenue Skin Care Salon! Click Here and Enter to Win a Package of Joanna Vargas Skin Care Products!